Google Backup and Sync is the new backup and synchronization desktop app from Google for Windows and Mac platforms. It allows you to easily backeup and organize all your important files and photos from you desktop to the cloud (in Google Photos and Google Drive services). It’s a simpler, speedier and more reliable way to keep your most valuable files and photos safe. Just choose the folders you want to back up, and Google Backup and Sync will take care of the rest. Google Backup and Sync is replacing the existing Google Photos desktop uploader, and Google Drive for Mac/PC Windows. Google Drive is a cloud file storage and synchronization service developed by Google and launched on April 24, 2012,. Google Drive encompasses Google Docs, Sheets, and Slides, an office suite that permits collaborative editing of documents, spreadsheets, presentations, drawings, forms, and more. With Google Drive, You can upload and access all of your files, including videos, photos, PDFs and beyond. Drive can recognize objects in your images and text in scanned documents. So you can search a word like “Eiffel Tower” and get text documents with that word, as well as images of the actual Eiffel Tower. Your files in Drive can be reached from any smartphone, tablet, or computer. So wherever you go, your files follow. You can quickly invite others to view, download, and collaborate on all the files you want–no email attachment needed. Google Drive is offering 15GB free online storage for all users If you wish to have a bigger cloud storage space you should subscribe to google drive which offer from 100GB to 30TB of storage with various paid plans. Files uploaded can be up to 5 terabytes in size. As of March 2017, Google Drive has 800 million active users, and as of September 2015, it has over one million organizational paying users. As of May 2017, there are over two trillion files stored on the service. Google Photos is a photo sharing and storage service developed by Google. It was announced in May 2015 and spun out from Google+, the company's social network. Google Photos gives users free, unlimited storage for photos up to 16 megapixels and videos up to 1080p resolution. The service automatically analyzes photos, identifying various visual features and subjects. Get 15GB of storage for free. 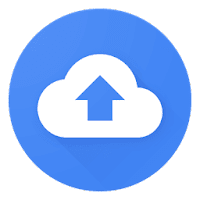 Disclaimer: Direct downloads for the lastest version of Google Backup and Sync (Google Drive) 3.36.6721.3394 are provided by the official software's author, we can't guarantee safety, availability or download speed. Moreover, we don't and we won't provide any pirated/illegal versions or tools. We recommend you to avoid it as these methods can harm your device. If you like the software, buy it to support the developers. (We provide software discounts for many worldwide brands).